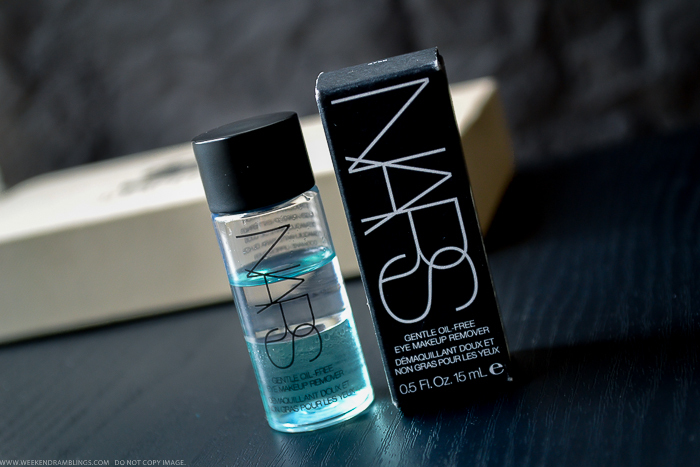 A high-performance, extremely mild makeup remover that removes all types of makeup, including waterproof. The non-greasy solution glides across skin leaving a silky feel without any residue. Natural ingredients calm irritation. Enriched with aloe and cucumber, it soothes the delicate skin around the eyes. Contains hyaluronic acid known for comforting and hydrating the skin. It’s gentle enough for contact-lens wearers, is non-comedogenic, dermatologist-tested, ophthalmologist-tested, and suitable for sensitive eyes. It's been ages since I actually went out and bought a makeup remover. I was using Bioderma for a while, ran out of it, and have just been too lazy to reorder. The good thing is I finally got around to using up all the samples that I have been hoarding all this while. 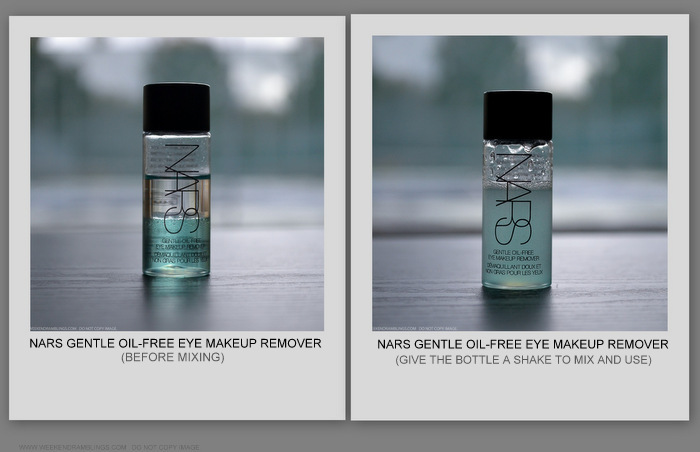 Like this bottle of NARS Gentle Oil-Free Eye Makeup Remover that was part of a Sephora points perk from ages back. This is a biphase cleanser with two layers of floating "stuff" and claims to get rid of even the most stubborn makeup without irritating eyes/skin. To use, shake the bottle to mix the two layers. Dispense on to cotton and use to remove makeup. 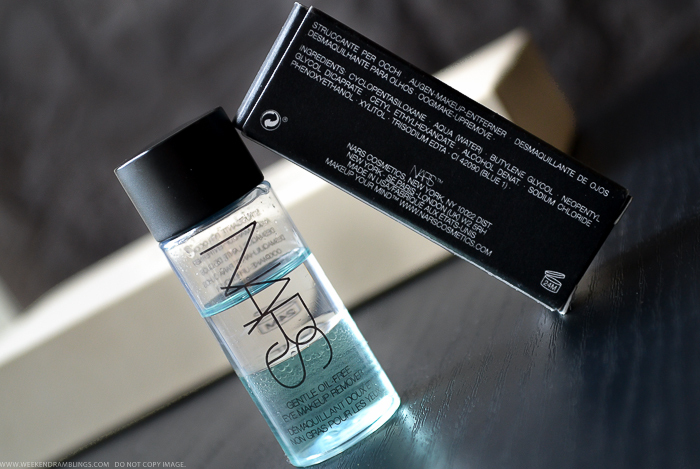 In general, I have found most biphase makeup removers pretty effective at their job, and the NARS Gentle Oil-Free Makeup Remover is no exception. I don't use waterproof makeup, but it does a good job of getting rid of any mascara and eyeliner bits quickly and also almost completely in the first attempt. The only issue I have had with this is despite being labelled oil-free (and it sure doesn't seem to have anything oily in the ingredients list), it feels slightly oily/slippery on my skin and can sometimes cause an irritating film in my eyes if I amn't too careful while using it. My eyes aren't too happy if I get this anywhere near my waterline - if I use a Q-tip dipped in this remover to take off eyeliner along my waterline, etc. I seem to have this issue with the MUFE Sens'Eyes Makeup Remover too, so amn't sure if it's just my eyes being ubersensitive. That said, I think this is quite an effective makeup remover and particularly useful to get rid of extra-stubborn makeup that milder removers might just leave behind.